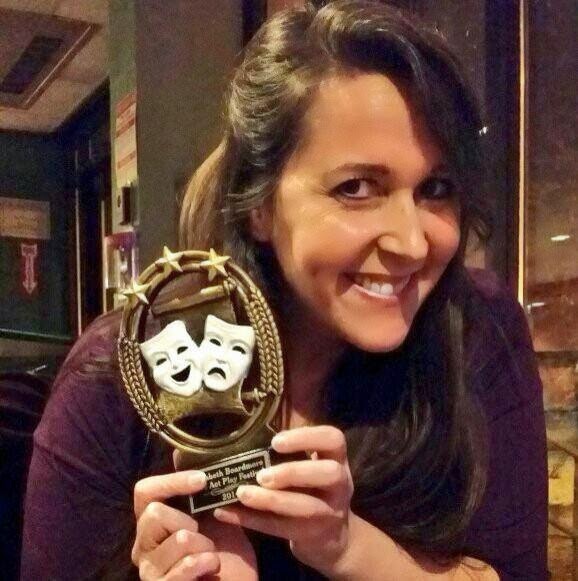 Lianne Perry with her acting achievement award from the Elizabeth Boardmore One-Act Play Festival in Cape Breton. Department of Common Sense is a play about bureaucracy and government. It's written by someone who worked on the inside for almost four years. I met some talented, intelligent people, but I also met too many people who were fussers. They cared more about process and rules than about serving the people they were hired to serve -- the taxpayers. The character of Adele Courage represents the kind of bureaucrat we need more of and Frank Walker, the Minister of Common Sense, represents the kind of politician we need more of. Department of Common Sense is playing tomorrow night (Saturday, April 12) in a special one-night engagement at the Museum of Natural History on Summer Street in Halifax. Show starts at 8 p.m. Tickets are $10.